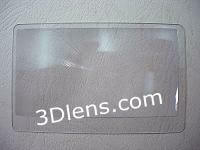 Buy Credit Card Magnifier Fresnel Lens at Lowest Price! Greatbuy, great value for credit card magnifier size. 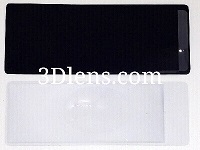 Great Credit Card Magnifier Lens and Reliable Co. I have placed 3 orders, recieved quickly everytime. Quick and reliable: package sent next day after putting order, delivered on 13th day to my house. Product as described, well packed, low price, reasonable post & package expenses (combined order: 5 credit card magnifiers and 1 large A260 lens). 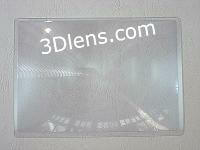 Credit Card Magnifier Fresnel Lens - order received. My order arrived today in great shape. From the tracking you sent with the order, I could see that the package arrived in my country almost immediately. The product is exactly as described and I am quite happy with this order. This lens works great as a magnifying glass. It is perfect for use with ClickBook from Blue Squirrel for archiving bank statement, utility bills etc. Print 8 pages per sheet of paper and use this fresnel lens to read it. I want to tell you that I have already received the Credit Card Magnifier that I ordered, and I want thank you for this great product and for the excellent service.